Hanriot’s entry into the 2nd Military Trials in 1912 was smaller than the X or XI. 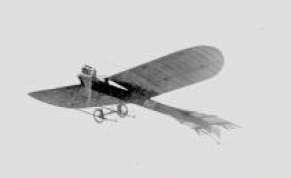 The fuselage appears to be all-wood, and the undercarriage is reduced to four legs. The pylon is a pyramid similar to a Nieuport or Morane-Borel, and a high metal cowling encloses the Gnome engine. This would seem to the last of the early-style Hanriots.